It’s the perfect all-water fitness machine for beginners, recreational, and hard-core rowers. Rowing uses over 80% of your muscles and can burn twice as many calories per hour as kayaking. 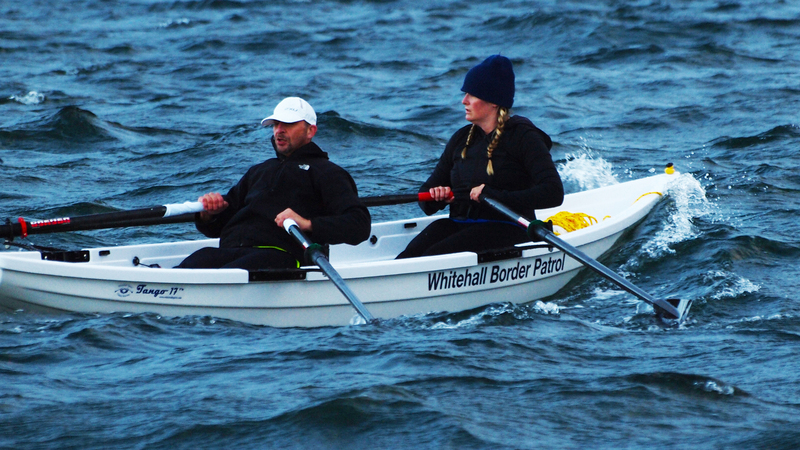 Row for competition or socially by entering open water rowing / paddling events. Take your Solo 14 camping or on expeditions – faster, more comfortable, and holds more gear than a kayak. A stable platform for fishing and crabbing, and for taking kids and dogs along. Reduce stress… it “bobs along” nicely in a light breeze while you quietly enjoy the sunset! The hull and decks are constructed from virtually indestructible co-polymer plastic, using a heat-and-vacuum forming process called thermoforming. The hull and deck are rigid and stiff thanks to a inner specially designed inter deck and the medium itself. Unlike rotocast polyethylene this boat will not change shape when exposed to hot sunlight. This is necessary for a performance rowing boat. The Solo 14™’s exterior has an acrylic coating bonded to it known as ‘Solarcote™’. It is UV-proof and retains a glossy yacht-like finish. Co-polymer is much more impact-resistant than a fiberglass hull, does not go chalky or dull like gelcoat , It simplyd stays shiny and looking good for years. Our commitment to quality and superior design has produced the absolute best boat of its type in the marketplace. The materials and copolymer plastic used in construction of the Solo 14™ are 100% recyclable. The Whitehall Spirit® Solo 14™ rowing boat is distinctly elegant and extremely seaworthy, with a pedigree that goes back for hundreds of years. To keep the Solo 14™ looking new, all that’s required is a few minutes spent wiping it down with a damp cloth when needed. This means there is much more time to spend actually using the boat, having fun, and keeping fit. It will never need painting or ever waxing due to the Solorcote® exterior finish. The Solo 14® comes equipped with all of the features listed here as standard and included. The only factory options to consider are the stainless steel keelstrip, motor pads and a custom boat name. These can be seen under “Factory Options” in the Accessories section of the website. This slide seat design has been used for over a century. Seat holes and cutaway fit the coccyx and sit bones. Anodized tracks allow smooth sliding. Adjustable foot stretcher fits any leg length. Velcro straps enable regular footwear to be worn by the rower. Heel cups adjust up or down for varying shoe sizes. These cast aluminum outriggers create the correct span for 9’6” carbon fiber sculling oars. 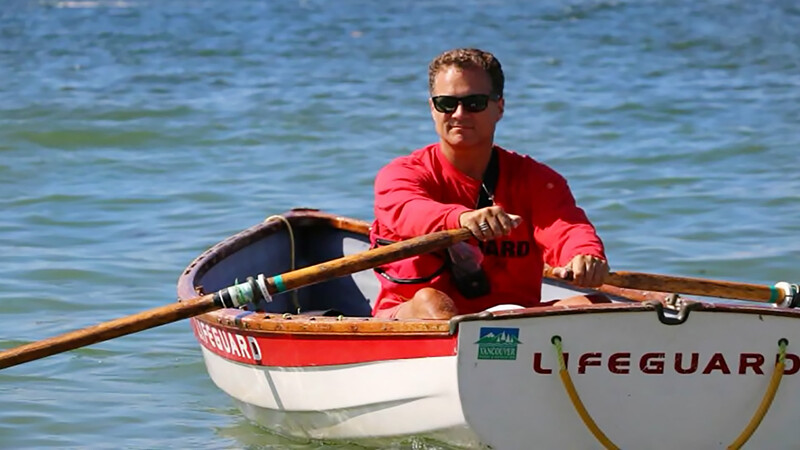 The rower can remain seated when the outrigger is hinged inboard. Outriggers hinge inboard when coming alongside a dock or boat. By being closer to the dock, the boat is more stable, safer and easier to get into or out of. The sliding seat removes easily and the fixed seat snaps into place. The fixed seat stows between the track risers, flush to the floor for convenient storage. Forward oarlocks sockets allow rowing from the forward fixed seat. Enables up to four people to be carried. Top quality nonskid located on the cockpit floor prevents slipping and makes it safer and easier to move around. Dog-friendly. Pulling the plug when storing the boat out of the water keeps the hull from collecting rain water and makes draining easier when hosing the boat down. Cleats are used for hanging fenders or spring lines when tying to a dock. The mushroom shape has no sharp corners to help prevent snagging on clothing. The batten ends come installed ready for battens. Battens enable a boat cover to shed rain water. See the accessories page for ordering a set of custom Lexan battens. Conveniently secure your cushions or gear using these durable plastic tie downs, suitable for webbing strap. 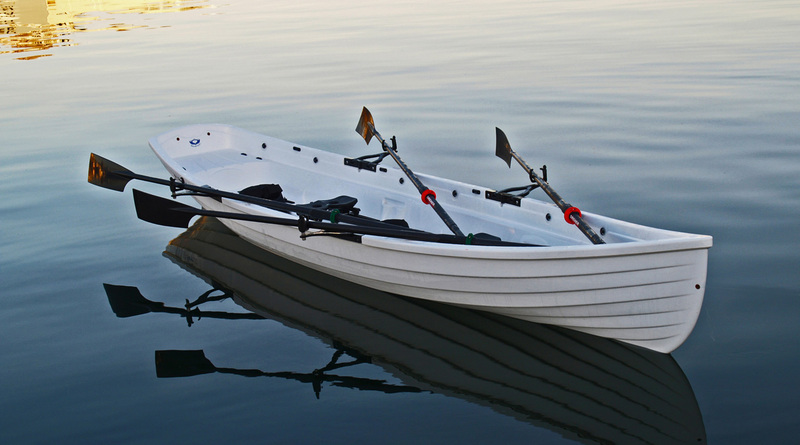 The Whitehall Spirit® Tango 17® double slide seat sculling model is a thermoformed copolymer Whitehall like its sister ship, the Solo 14®. It is built with meticulous attention to detail and is virtually maintenance free. The high-gloss white surface finish is UV resistant, tough, acrylic-coated, and adds pristine quality to the beautiful sweeping lines of its striking hull shape.